Hearing of Mrs. Kader at the Chamber of Deputies "The Referendum in Kurdistan: Economic Sanctions and Military Actions". 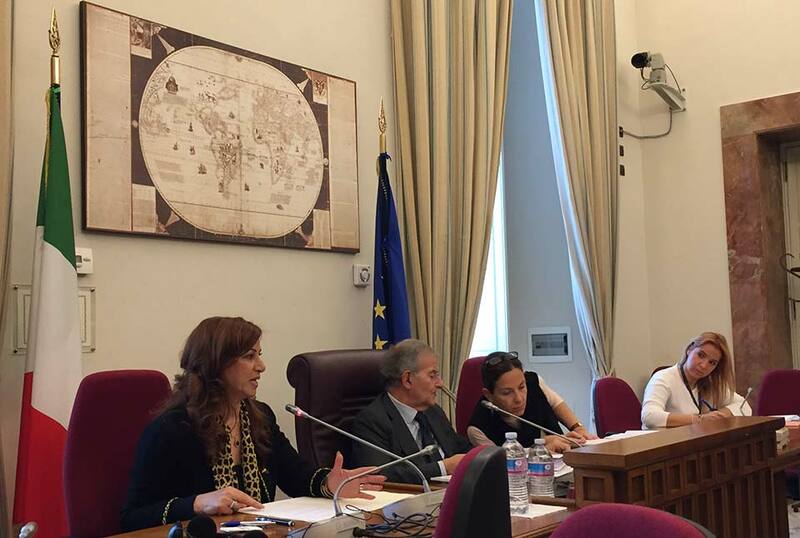 A hearing was held today by Mrs. Kader to the Foreign Affairs Committee at the Chamber of Deputies entitled "The Referendum in Kurdistan: Economic Sanctions and Military Actions". The session was opened by the President of the Commission, Hon. Fabrizio Cicchitto and saw the participation of the Hon. Quartapelle, Hon. D'Ottavio, Hon. Romanini, Hon. Porta, the Vice-President of the Human Rights Commission of the Senate of the Republic, Sen. Riccardo Mazzoni and Mr. Soran Ahmad of the Kurdish Institute. Before leaving the floor to the High Representative, President Cicchitto wanted to recall what was said by the French writer Bernard-Henri Lévy on the barbarism of the armed intervention of Iraqi military forces along with Shi'ite militia Hashd al-Shaabi, supported by the forces of the Iranian Pasdaran, in Kirkuk against the Kurdish Peshmerga after what they did in fighting ISIS over these years. President Cicchitto added that the entire international community starting from Italy is deeply indebted to the Peshmerga forces and this is the shameful reward received for the sacrifices made. Mrs. Kader, after thanking President Cicchitto for His words of support and solidarity to the Kurdish people, illustrated the current situation in the region, the legitimate reasons that led the Kurdish people to want to make a referendum and the reactions of the Central Government, neighboring countries and Western countries. - We are very disappointed with the countries that have always been our allies. It seems that the mountains continue to be the only friends of the Kurdish people - declares bitterly the High Representative - this is certainly not the prize the Kurdish people expected or deserved, we were used against Daesh and now abandoned but we are proud of what we did for all humanity - adds Kader. Pres. Cicchito and the MPs have said that the Kurdish issue must be dealt with seriously; there are international responsibilities to what is happening, and which cannot be silenced further. For this reason a parliamentary question will be proposed as soon as possible to the Italian Government.